Originally from beautiful Cienfuegos, Cuba, Jose Bordas is now a U.S. Citizen and has lived in Miami for the past 8 years. Jose was a former inline skate racer for Team USA and is now attending college with a focus on business. He loves to travel and has explored China, Columbia, and Europe. 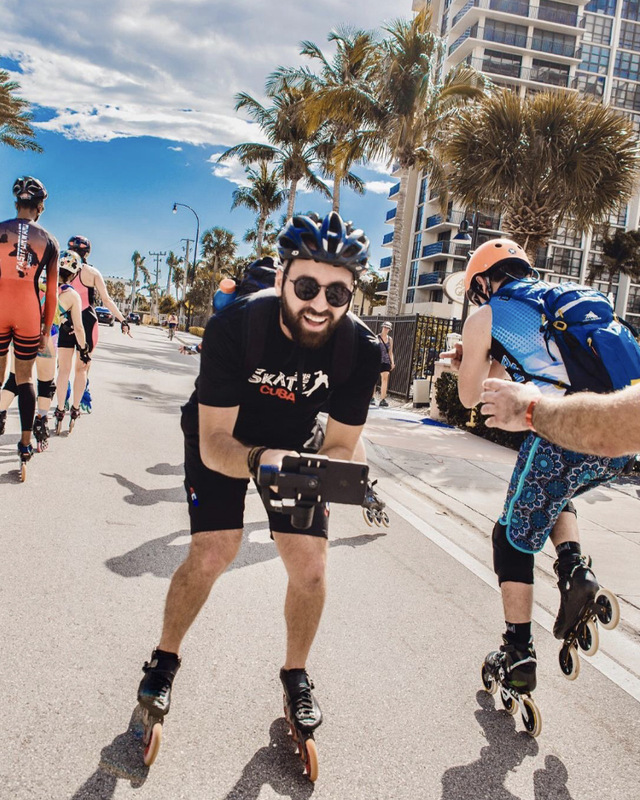 Over the past few years, Jose has organized inline skate trips to Cuba with a focus on humanitarian efforts – bringing skates and gear to a country that otherwise would not have access to skating. What hobbies do you have? I’m an avid cyclist and kayaker but also love recreational skating, kiteboarding … basically anything that gets me outside. What’s your favorite trip souvenir? Fridge magnets! Where is your favorite place in the world? Cuba! What’s one thing you never travel without? My skates. Welcome, Jose! You’ll have a chance to meet Jose in person on a variety of our tours, starting with our Ohio Skating Adventure this summer.